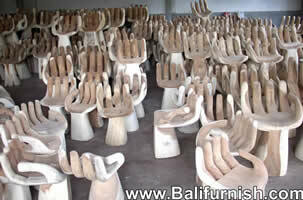 Wooden hand chairs from Bali . 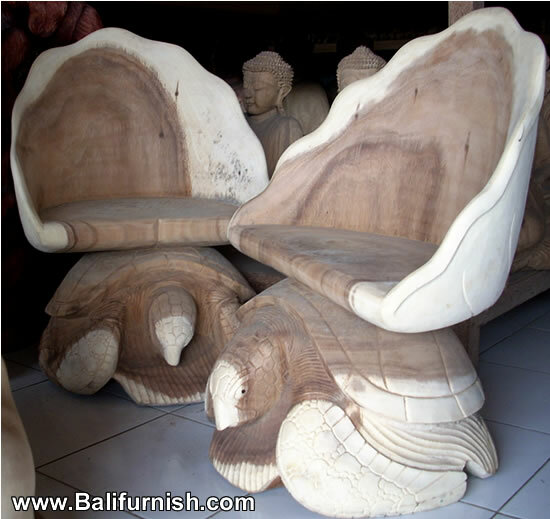 Unique wooden furniture from Bali Indonesia. 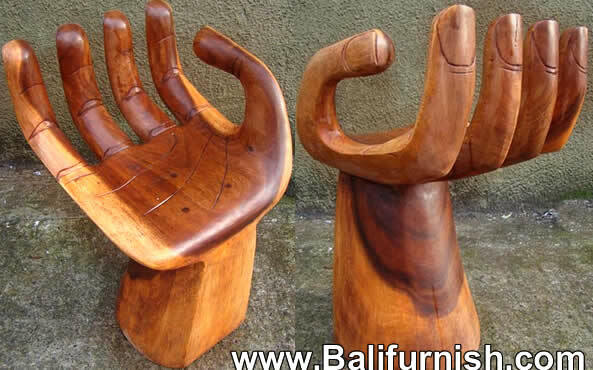 Wooden chairs and wooden table in the shape of a hand. Made of hardwood not teak wood. 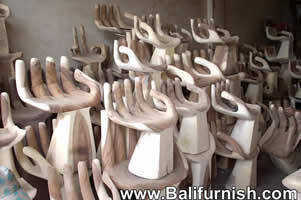 Handcarved wood chairs in shape of left hand palm or right hand palm. 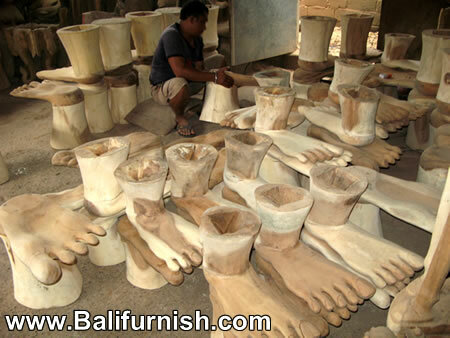 All by skill hand of balinese craftsmen in island of Bali Indonesia. 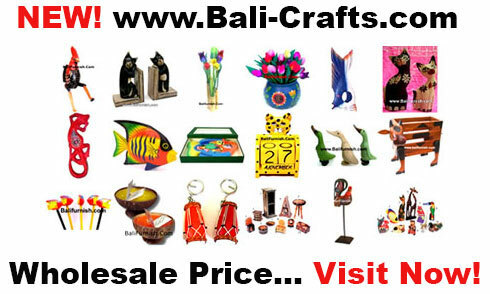 Buy direct from craftsmen and workshops in Bali. Buy from us. We have many stock of chairs and tables available for immediate delivery. If you need factory or manufacturer in Indonesia, producer and supplier also exporter company for these unique, contact us. 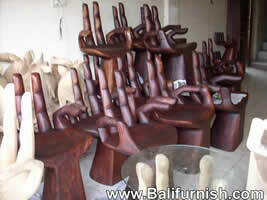 Wholesale Wood Hand Chairs and Hand Tables from Bali Indonesi . 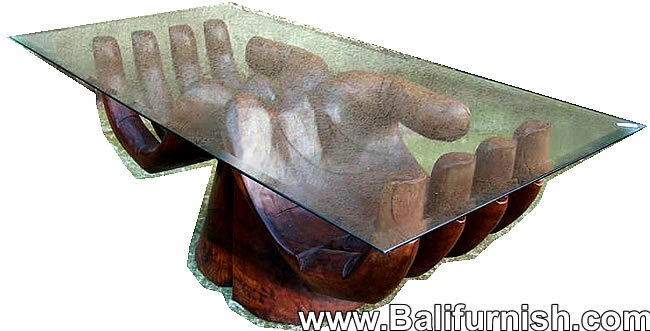 Below you will find links to all woven furniture made in Indonesia. This is a wide range. Woven furniture made with almost any organic fibers from Hyacinth, sea grass, banana leaf, rattan peel, abaca etc. 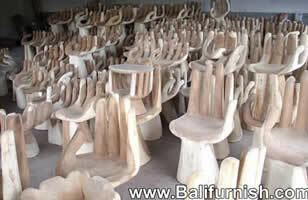 We also have Synthetic Rattan Furniture Indonesia. Polyethylene rattan. PE rattan furniture from Indonesia. 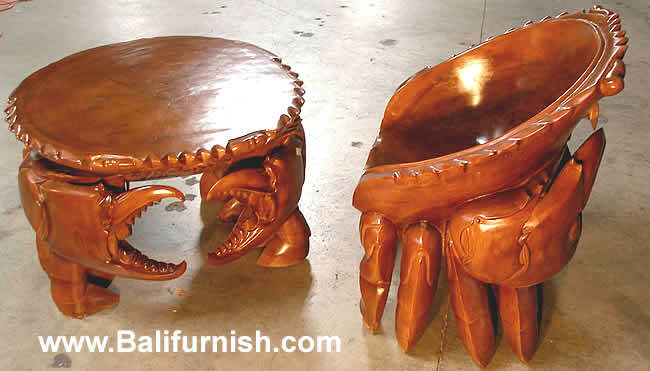 Beautiful wood carvings from Bali Indonesia, wooden chair and table with crab shape. We're able to supply many of these wooden hand chairs and table in stock.